Considering the kitchen cabinetry market is flooded with options, be it in materials or kitchen designs or colors, you need to be definite as to which material to use for your kitchen. 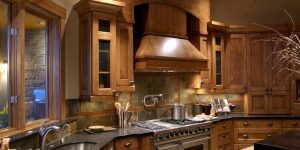 Though there is a myriad of kitchen material options wood undoubtedly is a timeless option for material in kitchen cabinets. But have you ever browsed through the options available for kitchen cabinets? If not, you have no idea of the challenges you are about to face. You just chuckled thinking what can be challenging in getting hold of a decent set of a brown kitchen cabinet. Nothing really if you have visualized your needs well. That takes us back to my opening observation – if you want your dream kitchen, visualize it and then work for it. How you want it to be done, research well, know how you want the lights, the color of equipment, the storage spaces, that is the decor, but most importantly the kitchen cabinets themselves. If you have already made up your mind, that you want a wood cabinet, well you have saved yourself half the worry. Considering the galaxy of materials that kitchen cabinets are available in, pinning down the material, in itself can turn out to be a tasking job. However, as you already made up your mind on a durable set of a wood kitchen cabinets, your next choice would be which type of wood it will be and what color or polish? The thing with wood is that different types of wood have different texture and finish. Kitchen designs cut out of wood are both classy as well as highly durable. Moreover, if you have visualized dark or highly polished storage space for kitchens, wood again is a great option. Be it the timeless grandeur or the sophisticated kitchen designs, wood cabinets are always worth the money. Apart from kitchen design, you need to choose the wood for your perfect cabinet. 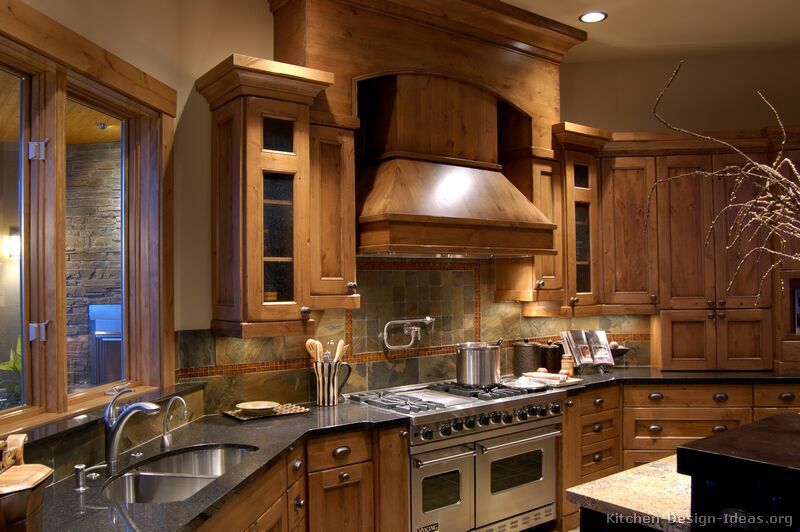 A little research will give you a wide idea of the variety of wood materials used to design kitchen cabinets. 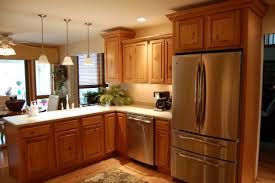 The most commonly used wood in kitchen cabinets is cherry, oak, mahogany, maple, pine, and birch. Interestingly, different woods have different grains and colors. If you are looking for brown kitchen cabinet, make sure you browse through color tones in different woods. Like maple and oak have lighter hues while mahogany and cherry have warm richer tones. Again as a buyer, you need to consider the durability of the material. Different woods have durability which needs consideration. While pine wood comes at a cheap price as it suffers easy dents while woods of oak or maple are known to be hardy. However, mahogany is known to be the most durable and classy. Another point of consideration is definitely the price. Wood furniture, in general, are costly. Over the years, furniture manufacturers are serving up a greater range of products in a wide flexible budget range. As a buyer, you have the pricey mahogany cabinets as well as the mid-budget maple or oak to choose from. You may be surprised with the inclusion of this point but this is an important factor to consider when going furniture shopping. Custom kitchen cabinet designs are often very costly and take a considerable span of time to be built. Often such time and money are not affordable, especially the price. This has encouraged manufacturers to design ready-to-assemble or RTA kitchen cabinets which are both easy on the budget and almost ready to install. Moreover, there are a number of certified online manufacturers who offer a wide variety of RTA kitchen designs at your door-step. If you wish to buy the perfect set of brown kitchen cabinets or wood cabinets, then, research well. Also, it’s important to have a clear idea of what your requirements are and the money you can spend. With so much of options, having the perfect kitchen design can be an easily affordable reality. Appreciate with your designes. I also want this type of work in my kitchen with woollen. I just save your design for presentation with architecture. Thanks For share.